In case you weren’t aware, as a commercial consumer, your company has a responsibility to account for all its waste. As a nation, we (quite responsibly) have set ourselves some very high targets in relation to recycling and reusing as much of our waste as possible. As a registered waste carrier, we will provide you with a Waste Transfer Note which you can keep as evidence of your compliance. 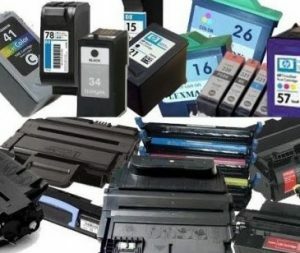 The toner cartridges we collect are reused or recycled safely (toner and ink residue is classed as hazardous waste and can be harmful to humans and the environment). 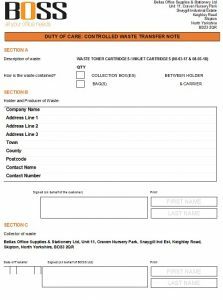 Empty cartridges can have a residual value which is offset by those we collect that don’t and just need disposing of properly. Any nett proceeds from this activity are donated to charity. If you’d like us to start collecting your empty or redundant ink and toner cartridges simply give us a call on 01756 793003 and ask for a recycling box with your next order. We’ll deliver the box and when it’s full, call us again and we’ll swap it out for you when we’re passing. 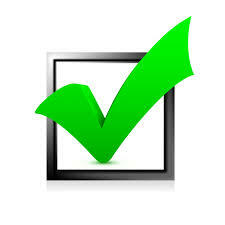 Our driver will complete a Waste Transfer Note with you, a copy of which you keep for your records.